Inquisitive minds meet cutting-edge concepts during Loudoun County Public Library‘s monthly program for adults 21+ at Old Ox Brewery. For this go-round, we’re diving into the world of pharmaceutical drug discovery to find out how drugs are developed and why we don’t have a cure for everything. Although huge strides have been made in the industry, drugs typically come with several warnings and side effects, and numerous diseases have no treatment at all. 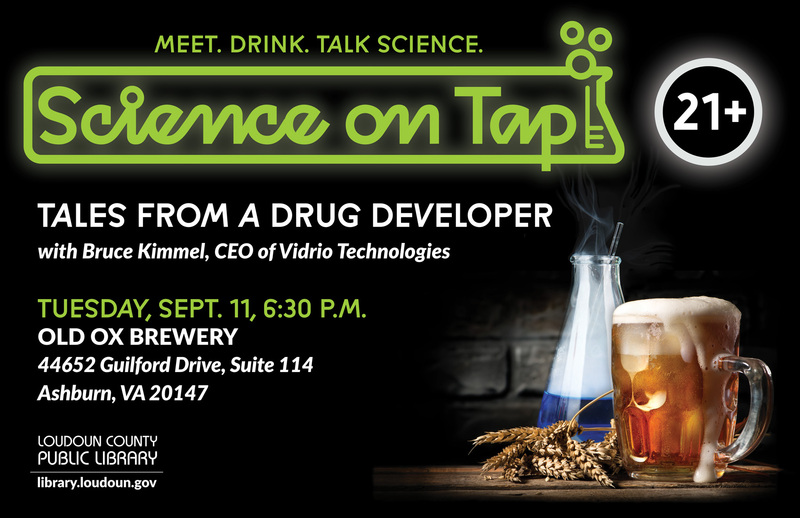 Bruce Kimmel, CEO of Vidrio Technologies, LLC, explains why that is in a fascinating exploration of the industry. To learn more about this program as well as upcoming installments of Science on Tap, visit https://bit.ly/2GmcUSW.